The other day, Jacob had a baseball game. He's had many games before, but this was the first one of the (more serious) coach pitch pony league. 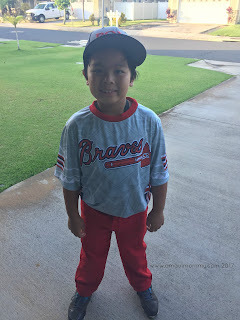 It was the bottom of the first inning, and he got placed in the pitcher position, even if he had been practicing outfield the entire time being on this team. He seemed pretty nervous. In that first inning, he had a few errors that caused the other team to score some runs. Runs. They keep score now in this league. Scoring matters. Up until now, in baseball, he's either been in t-ball or in a coach-pitch league where they didn't keep track of who won. It was a different feeling to be watching your son make an error, when scoring mattered. More than anything, I was mad at myself. Furious. Why? I was watching him play, and I felt bad for him that he made an error or two. I was angry that this game would cause me to feel bad. It is supposed to be fun watching your son play, but with the added pressure of winning, it wasn't fun for me. I mean, I'll admit, it got better in the later innings when Jacob picked up two ground balls in outfield and threw it right to the base. But there was still a feeling of pressure. We went home that day not feeling the greatest. He's 7. Seriously. When I was 7, I was riding my bike/roller blades, watching tv, or hanging out with my parents. Organized, pressured sports didn't come until the 9th grade, when I could probably handle it better. My husband and I changed our mindsets that day. I made a personal decision to not care whether they win or lose. 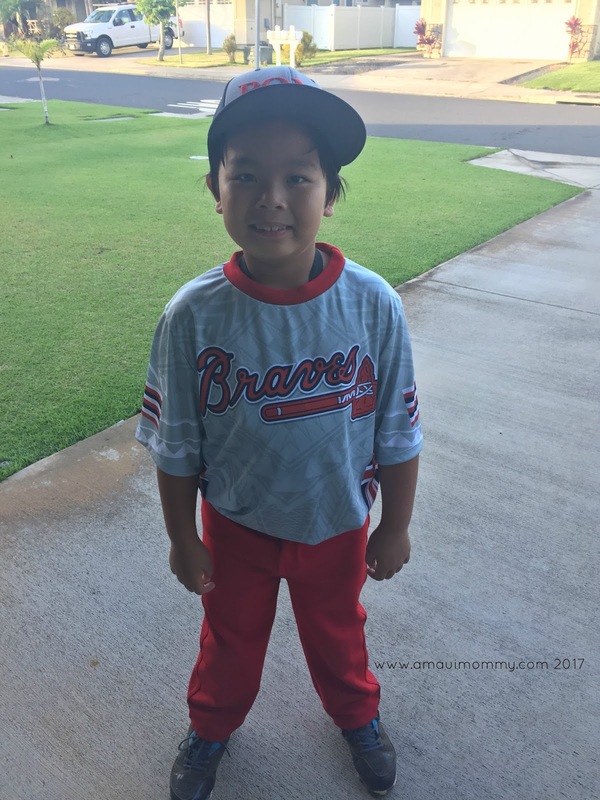 With organized sports, he should be learning respect, self-discipline, and teamwork. Not how to win. Of course, if we have time, we will still go to the park and practice throwing or hitting. However, I won't allow me or my son to feel how we did that day. If he continues to feel this way, he won't enjoy baseball, and he should. He's 7.